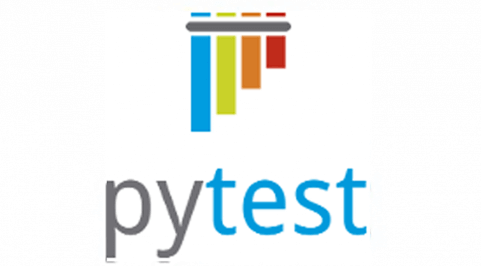 PyTest is used for developing automation tests using python. It is a very powerful framework that can be utilized to write effective test automation scenarios in python. PyTest framework makes it easy to write small tests, yet scalable, to support complex applications and libraries. The purpose of test fixtures is to provide an inbuilt baseline which would provide repeated and reliable execution of tests. Fixtures help in reducing time and effort of implementing a function several times. Instead of implementing and defining a function, which would be used repeatedly, just call the same function as a fixture object and get it executed. Test functions can receive fixture objects by invoking them as input arguments. To define a fixture function we have to use the decorator @pytest.fixture .Let us consider a very small example to understand how a fixture can be implemented in real applications. assert browser.title == "Some title"
Using fixture can be considered as a strong example of dependency injection. Fixtures allow a test function to operate by calling an already pre-initialized application object without caring much about the import/clean up/set up details. The fixture functions act as a dependency injector and the test functions which utilize the fixture object are the consumers. The object yield in a fixture is used to execute setup or teardown code. If you have any piece of code that needs to be executed in a sequence of set up and tear down then you can use the decorator @pytest.yield_fixture. For example, if I want to instantiate a driver as well as terminate the browser session using the same block of code then you can use yield to achieve this. When pytest runs the above function it will look for a fixture SetUp and run it. Whatever is yielded (or returned) will be passed to the corresponding test function. The “scope” of the fixture is set to “function” so as soon as the test is complete, the block after the yield statement will run. I have only touched on a particular, yet powerful feature of PyTest. I would highly recommend you to go through the framework to understand how PyTest functions work and to get started on automating test scenarios using PyTest.